Foreign investments touched US$16.3 billion in Vietnam last year, including newly registered and additional capital, showing an increase of $3 billion as compared to the provisional data announced earlier. 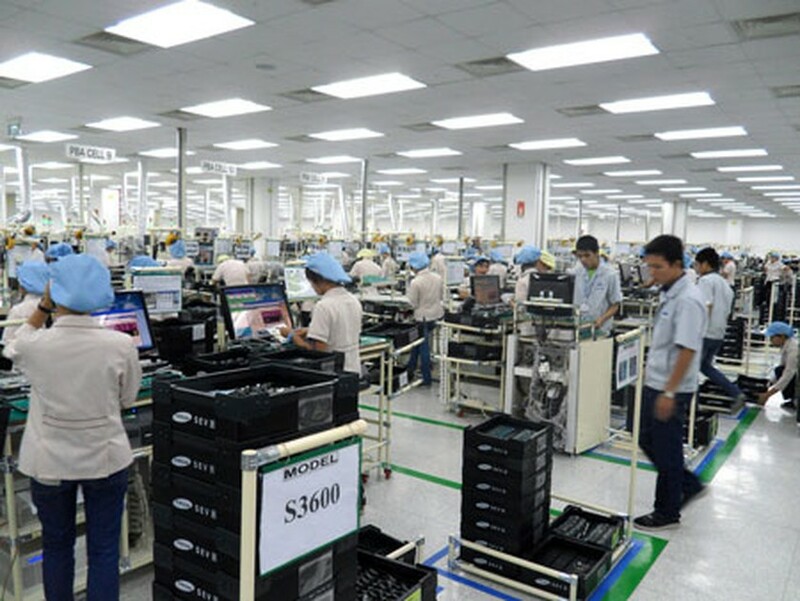 Samsung mobile phone factory in Bac Ninh province. Japan remained the biggest investor with $5.6 billion in newly registered and additional capital, accounting for 34.2 percent of total FDI investment capital in Vietnam in 2012. Binh Duong Province still attracted the most FDI capital with $2.8 billion, accounting for 17.1 percent. Ha Tinh Province followed with more than $2 billion, or 13.1 percent. Hanoi and Ho Chi Minh City took third and fourth spots in tandem, with around $1.34 billion. This year, the country is targeting about $13-14 billion in registered capital, and $10.5-11 billion in implemented FDI capital. According to the Foreign Investment Agency under the Ministry of Planning and Investment, last year, total newly registered and additional investment capital of Vietnamese companies in foreign countries touched nearly $1.55 billion, accounting for 61.11 percent of that in 2011. By December 31 last year, there were 719 projects of Vietnamese companies in foreign countries licensed with a total capital of $29.23 billion, of which, capital of Vietnamese investors reached $12.87 billion. Up to now, Vietnamese investors have brought in about $430 million.